We had a great time at last week’s ABS50 Research Conference where we heard some interesting presentations and keynotes. 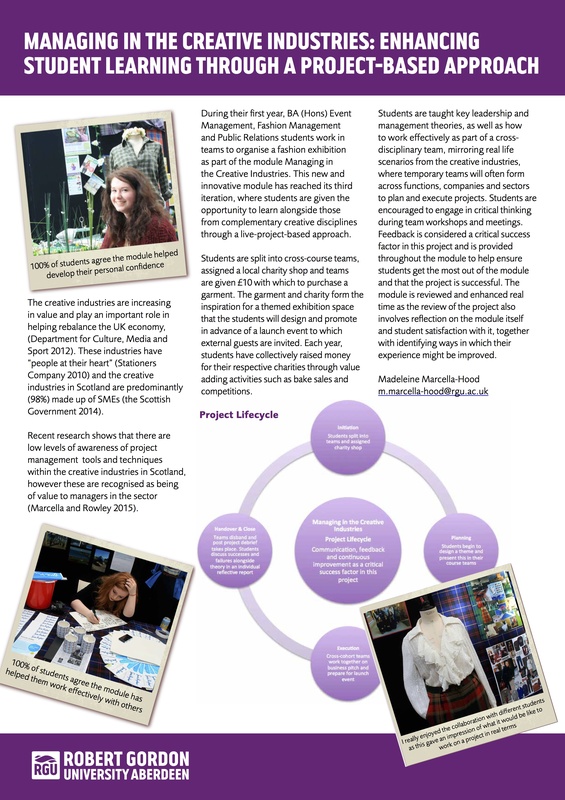 Our Fashion Place contribution was two posters showcasing examples of a project-based approach to teaching. This year’s Magazine Project and Fashion Exhibition celebrated the 50th Anniversary of Aberdeen Business School so it seemed very fitting that these should be included in the conference! Well done to all the students who made these projects a success! 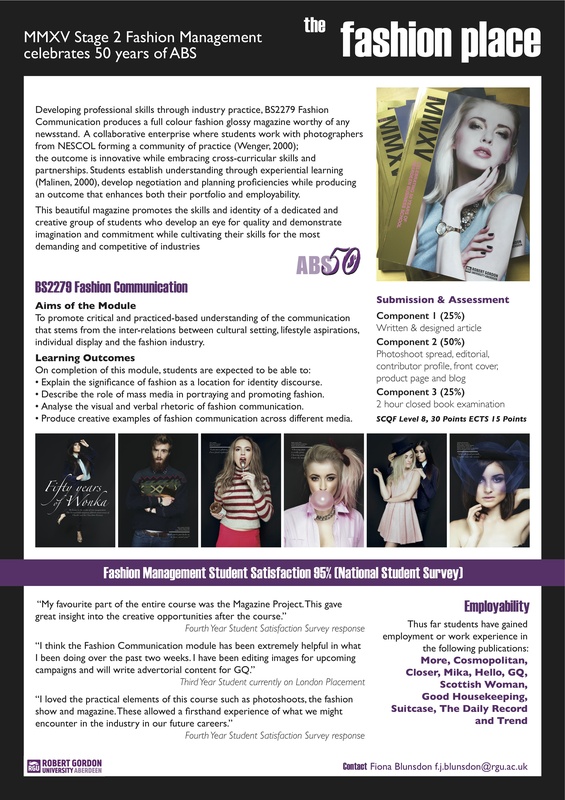 This entry was posted in Events, News, Research and tagged aberdeen, Aberdeen Business School, abs50, fabulous at fifty, fashion communication, fashion event, fashion exhibition, fashion magazine, Fashion Management, fashion project, fashion research, fiftieth anniversary, mmxv, Research conference, robert gordon university. Bookmark the permalink.